Cristiana Meggiolaro and her husband Riccardo are brand new to the scene in Soave, one of Italy’s finest white wine production zones. Frankly, they are a breath of fresh air to a region that has become more about quantity than quality. In fact, close to 80% of the wine from Soave is mass market, no character crap. It was a breath of fresh air they sought when Cristiana and Riccardo forged a new path in life, moving away from the corporate world and back to Riccardo’s roots in the city of Ronca’. Soon his family’s garage become their teeny (and I mean teeny) wine cellar and their neighbors abandoned hectare of vine came under their control. They also planted an hectare of Garganega nine years back down the hill from the cellar. 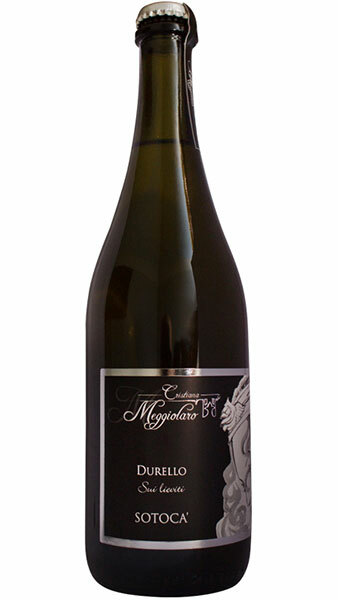 In 2011 they began production focusing on Gargenega (which is the principle grape in Soave) and a forgetten varietal called Durella with which they made a sparkling wine. They are another case where they learned on the fly, possessing all the energy and enthusiasm possible but not tangible experience managing a vineyard. But like so many others they learned from their mistakes and frankly began making quality wine from their first vintage. Soave is truly a region where these ageworthy whites are subject to the given vintage and I’ve noticed that upon tasting with them. 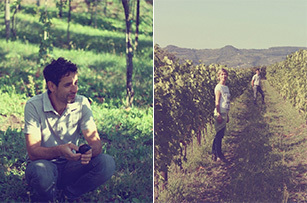 But with each vintage you can see the growth they’ve made as winemakers and the direction they aim to take their winery. The winery has had their ups and downs with the Soave consorzio, who has no interest in helping the little guy, thus recently they have decided to label outside of the Soave designation. 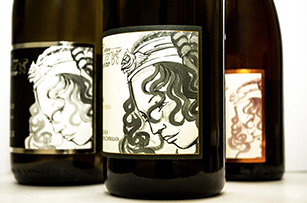 The dues paid to the consorzio proved to much, so if you see Gargenega on the label instead of Soave now you know why. The Gargenega is planted at about 300 meters, just a few kilometers north of the town of Soave itself. This 1 hectare they planted is divided by the local road that leads up to their cellar. From one side to the other the terroir changes drastically from basalt rock and volcanic undertones to more of a heavy clay. 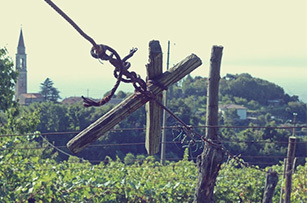 The Durella is a vineyard site with an incredible view over the Soave production zone. Here we climb closer to 500 meters and even the air is noticeable different from the Garganega. There is plenty of volcanic soil here to be had as well and a constant breeze that makes one dream of finding a hammock on a warm spring day. Cristiana and Riccardo produce about 10,000 bottles amongst these two wines. I expect this to remain a microproduction but my hope is that they are a new wave who will help lead Soave to greener pastures, away from mass market and back to the niche, boutique wines that made this region so important historically. Sarò means “I will be” in Italian an ode to what this wine becomes with time. 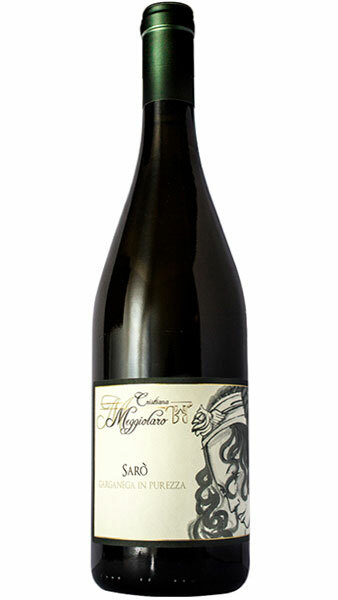 There is plenty of freshness and minerality to this wine, particularly given the volcanic undertones of the soil. There are notes of almond, pear and elegance abound in this lovely gem from Soave. There is a certain richness to this wine but yet it is light. For this reason the sky is the limit in terms of pairings from shellfish to grilled chicken. Manual harvest at the end of September. Whole cluster fermentation with spontaneous yeasts, under temperature control. Very minimal sulfites. The wine will then remain on the fine lees in stainless steel for 6 months. They will be the occasional stirring of the lees with a pump system present in the stainless steel vat. The wine is very lightly filtered before bottling. Sotocà in local dialect means “downstairs” which happens to be where they make these wines! This wine is a oyster lovers dream so full of minerality and subtle hints of stone fruit. This is a product of volcanic terrain and altitude. It’s funky but yet, clean fresh and fun. Durello grapes are pressed and decanted overnight without and clarification. Spontaneous fermentation in stainless steel ensues. 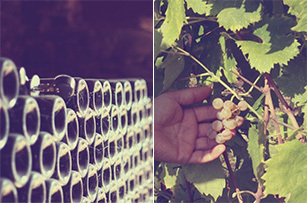 After fermentation of the Durello is completed, partially dried Garganega grapes are added to the tank, after which the wine is immediately bottled and closed with a cap. The secondary fermentation will magically take place in the bottle from here. The wine remains on the fine lees and fine months and will not be disgorged. The wine ferments to dryness arriving at around 2.5 bars of pressure and 12% alcohol.